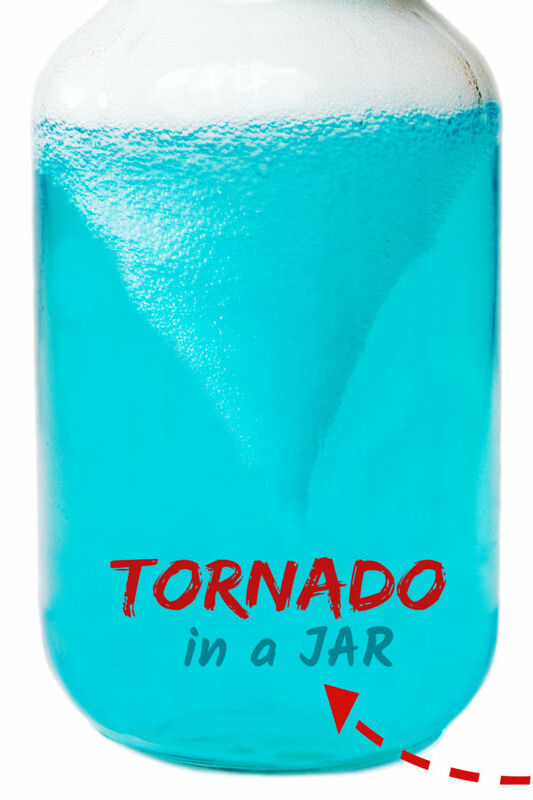 For once contain the mess and make a tornado in a jar! This is a great way for kids to learn about weather systems and the science behind storms. Besides that, it's just plain fun! My kids loved making tornadoes and wanted to make them again and again. Read on to see how you can set up this simple experiment with your kids. What does it look like up close? Get the answers to those questions and so much more with this simple science lesson for kids. 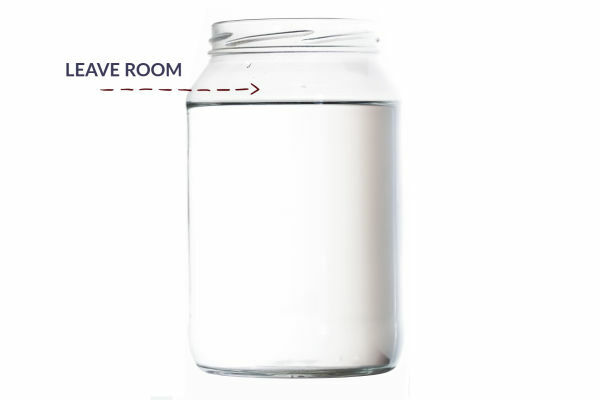 Begin by filling a jar with cold water, leaving 1-2 inches from the top. You can use any type of jar for this as long as it is round & has a lid. 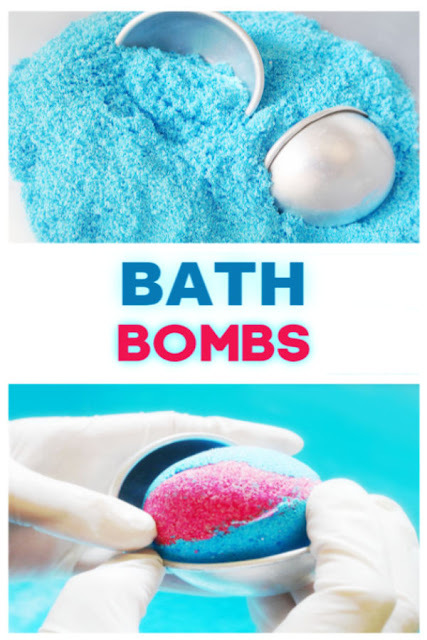 Add 1-2 drops of food coloring and/or glitter if desired. 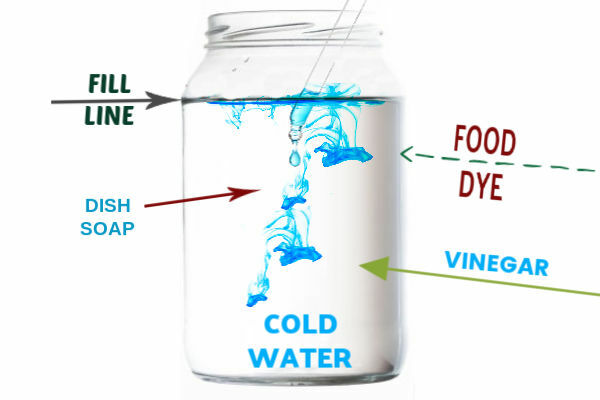 Add 1 tablespoon of dish soap & 1 teaspoon of white vinegar and mix gently. The vinegar just helps to dissipate any bubbles from forming so that you can more easily see the "tornado". Once the ingredients are combined the experiment can begin! 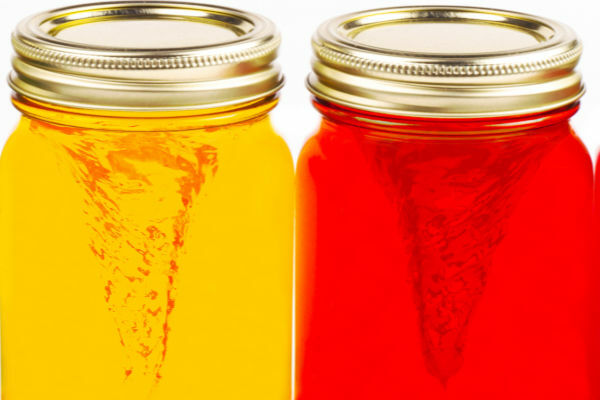 Have kids firmly grip the jar and swirl it around & around. However, the liquid is still moving. Why? 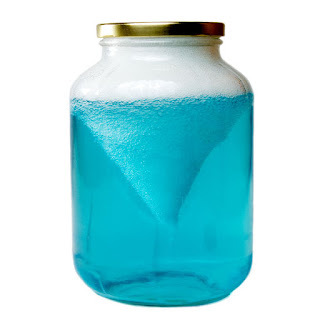 We have created a water vortex, or a tornado, inside of the jar! 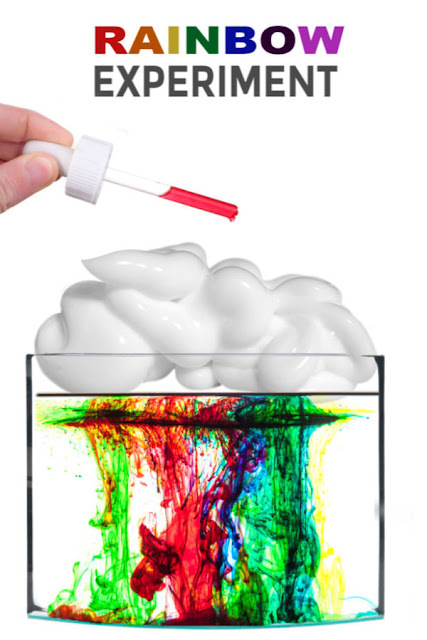 My kids loved making tornadoes and wanted to do this fun bit of science again & again! Make tornadoes in every color of the rainbow! 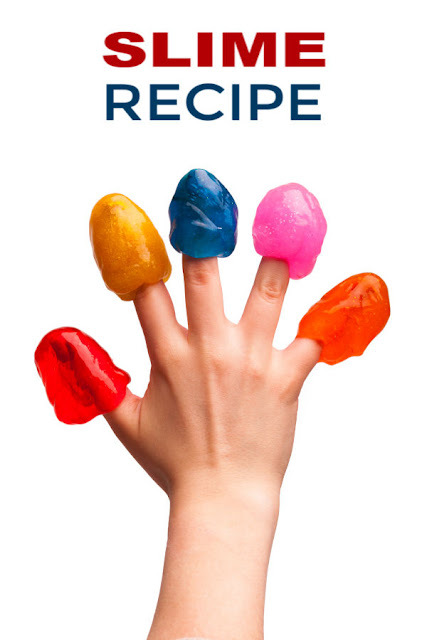 Simply repeat the steps above using a different color of food coloring each time. Try this experiment with varying temperatures of water. Read more on the science behind weather storms and how tornadoes form by following the links below. 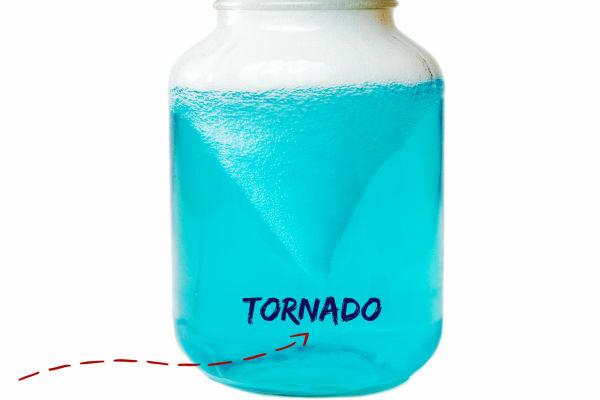 After making a few tornadoes your jar(s) may start to fill with bubbles, making it harder to see the "storm" inside. 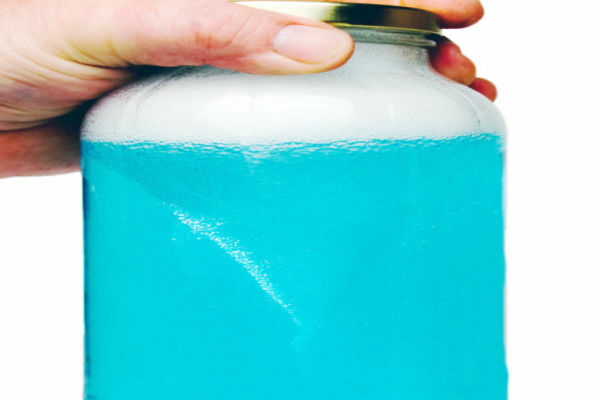 If this happens simply open the jar, scoop the bubbles out with a spoon, reseal the jar, and the fun can begin again! 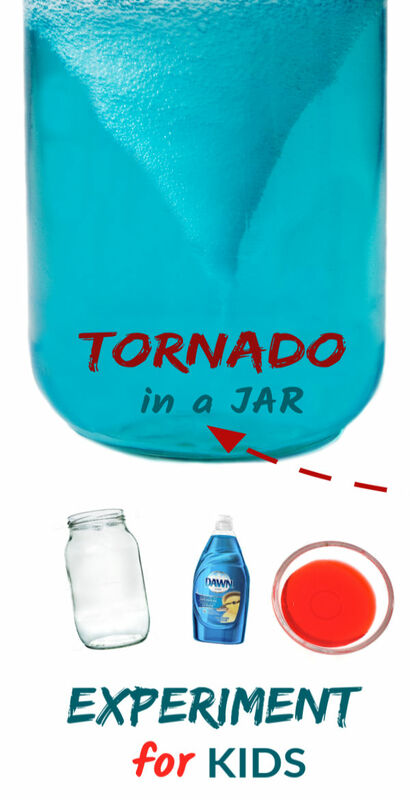 You only need 1-2 drops of food coloring to color your tornado. If you use to much it can become hard to see the storm inside the jar.